It’s a dog’s nature to be social. That’s why most of TNC’s patents need the Bordetella vaccination. This vaccine offers protection against “kennel cough” or “Infectious Tracheobronchitis”. You’ll find potential for this infection whenever and wherever dogs congregate. 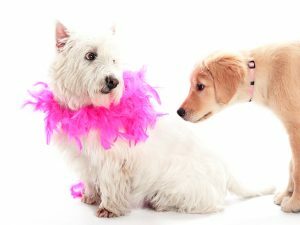 So dogs that attend doggie daycare or training classes, compete in shows or sporting events, are groomed regularly or spend time in the dog park or overnight in the kennel all need protection. Your dog’s nose is exactly where you want his immunity to develop since that’s where the natural infection would attack. Puppies may be vaccinated as early as 3 weeks of age, and immunity lasts 12 to 13 months. Some dogs may exhibit symptoms like sneezing or nasal discharge during the week after the vaccine. It’s recommended that the vaccine be given at least four days before any possible exposure (group setting), and boosters should be given every six months. Certain strains of the virus are more prone to progress to pneumonia, so vaccinating your dog regularly is her best protection. 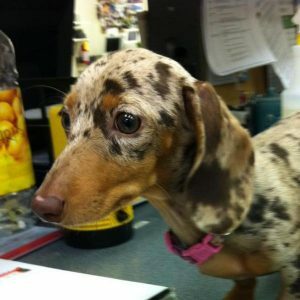 If you’ve got questions about what’s best for your dog, give us a call. If your dog tries to find the back door as soon as you come into Town N Country’s front door, you’ll be happy to know that one four-letter word (S-H-O-T) can be less frequent in your life. 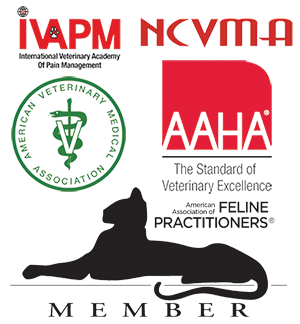 Town N Country’s vaccine protocol has recently been updated to match recommendations of AAHA (American Animal Hospital Association), meaning core vaccines can be administered every three years rather than yearly. Rabies has always been given every three years as long as the dog’s had the initial one-year vaccine. Now all future distemper, adenovirus and parvovirus vaccines can also be given every three years, given the expanded years of protection with updated medical technology. Innovations formulated by ULTRATMDuramuneR means that the volume of vaccine is actually half of what it was previously. (The new vaccine is only 0.5ml in volume.) That’s very good news for smaller dogs that may have reacted to vaccines in the past. PureFilTM Technology also reduces possible vaccine reactions by reducing extraneous proteins and cellular debris. So your dog’s vaccine has been updated to become a more purified product that’s more effective. You can count on Town N Country to continually offer you and your pets the safest most effective vaccines, taking advantage of the latest proven technology. If you have any questions about vaccines and your pet, give us a call.